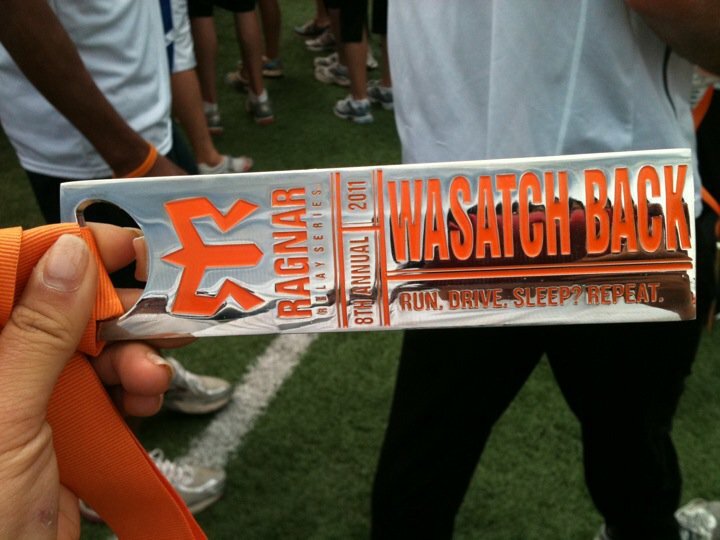 Remember when I did the Ragnar Relay last year for SoCal? 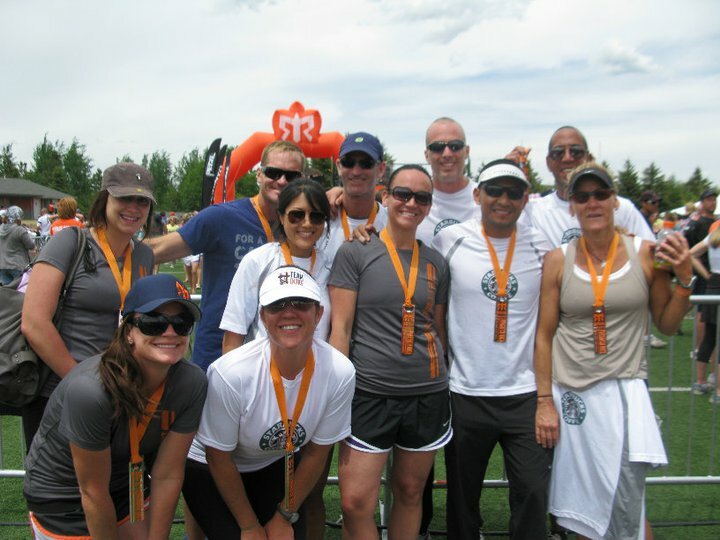 This year I was asked to be on the Starbucks teams for Utah Ragnar. I loved my experience from SoCal and knew this would be another fun adventure. 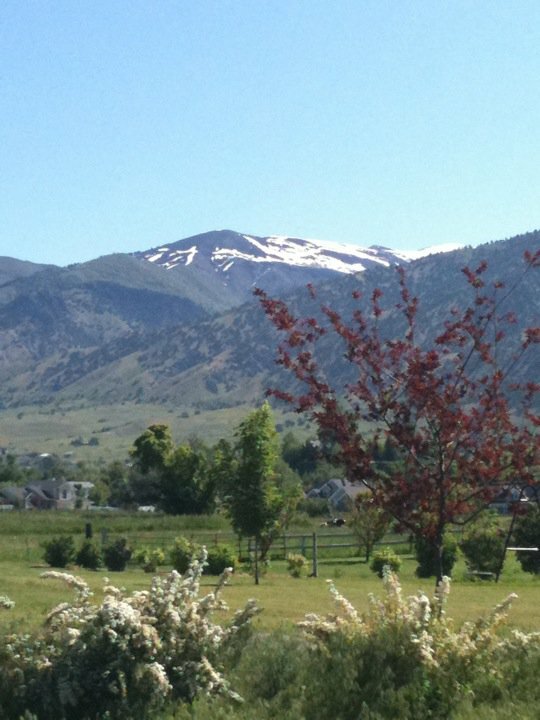 We started along the backside of the beautiful Wasatch Mountains from Logan (85 miles north of Salt Lake City) to Park City, Utah (15 miles east of Salt Lake City), total of 192 miles. Since our team was sponsored by Starbucks, our registration, car, food and accommodations were all covered, score! Flew up Thursday night and the race started Friday morning at 9AM. I was in Van 1 Runner 1. Just like SoCal, we arrived right when the race started and I took off trying to get from the back to the front of the pack. My first leg was 6.9 miles labeled “Hard”, although I think it was the long distance that made it hard. The leg was fairly flat. The first mile flew by really fast, 7:15/mile. Finally caught up to the front of the pack and slowed my pace down to 7:30, feeling great the whole way. 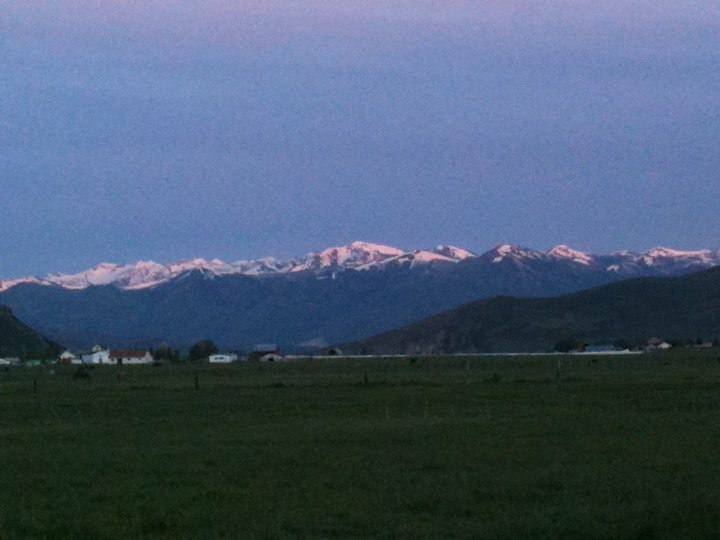 We ran through neighborhoods with snow capped mountains on both sides. The altitude didn’t affect me as much as I thought it would. I made sure to hydrate constantly to avoid sausage fingers. Our van shuffled through all 6 runners before passing the baton to Van 2. We didn’t have that much downtime because Van 2 only had 20 miles to cover amongst all 5 of them (we had a team of 11 instead of 12) and they were all pretty fast. We quickly made our way to the next exchange point where our van would go again. Traffic was horrible. Not sure what went wrong logistic wise with this race, but they didn’t plan it very well. We ended up catching up to a lot of teams and everyone was stuck on this single road. Runners were passing the cars! It was so jammed up, a lot of teams couldn’t get their runner to the next exchange point in time. We finally go to our next big exchange point and I was up again. This leg was 8.3 miles labeled Very Hard. It was mostly a long steep downhill grade, my favorite. I knew my quads would be trashed after this leg. My leg started off at the base of the ski resort and running up a bit through snow before heading out and back down the long hill. I loved this leg mainly because I was passing so many people on the downhills. The air was so clean and it was the perfect temperature. It was around 6PM when I started this leg so I didn’t have to bust out my headlamp yet. Ran the 8.5 miles in 1:05 and handed the baton off to Runner 2. Our van ended late at night, around 11PM before we hit the next big exchange with Van 2. One girl in my Van wanted to trade legs with me since her last leg was 7.9 miles Hard while my original leg was 4.8 miles Easy. I agreed since my legs were feeling pretty good and surprisingly I wasn’t too tired yet. I got a bit more downtime before I had to go again. This leg had more climbing, but wasn’t too bad. My pace was definitely a lot slower than my first 2 legs and I got to start around 7AM. I didn’t have to use a headlamp for a single leg this trip. Finished my leg strong and shuffled through our van for the last time. Once we passed the baton off to Van 2, we headed straight for the finish line for some R&R. So happy to be done as we were past the 24 hour mark eating only snacks we bought before the trip and barely getting any sleep. Around 2PM we heard our team name being called so all 10 of us headed onto the track to wait for our 11th runner to come in so we could all run together to the finish. DONE! 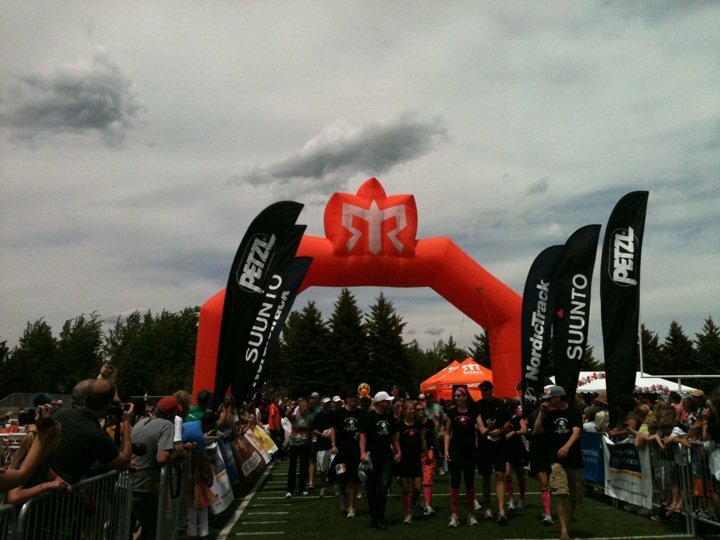 Another successful Ragnar Relay completed. I LOVED this race, the scenery was so nice and it made the whole race go by so quickly. The only con about this race was that because it was in such a remote area, there weren’t many restaurants or food places we could go to. Unlike So Cal, we were running through Hollywood, the beach cities and passed by tons of places to recharge and refuel. 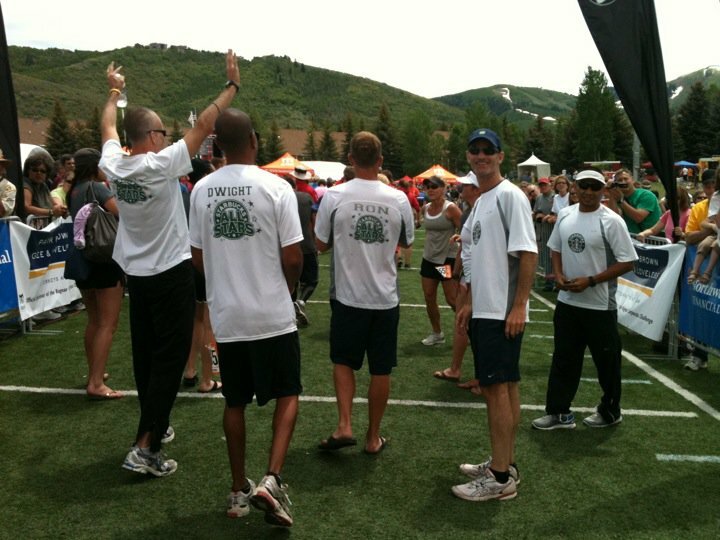 I am set on doing this race again, but with a 6 person team covering the entire distance. Should be challenging and fun! This has been a crazy month in terms of traveling and running. 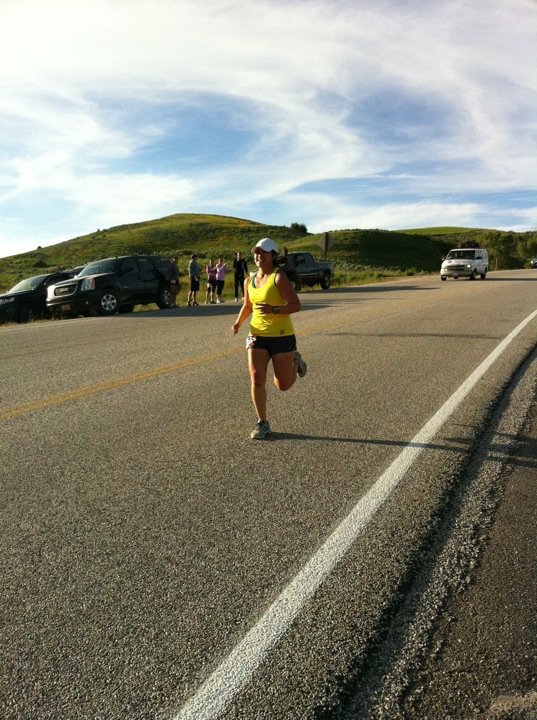 Yosemite 50K, paced my friend for her first 100 miler in San Diego, and now Utah Ragnar. Excited to get some rest at home, but at the same time gearing up for my next 50 miler at Mt. Hood the end of July. I love how trail running hasn’t left me burned out like I was last year. The ever changing scenery and terrain is so rewarding and challenging all at the same time. Going in to Western States, Twitter recommended you as someone to follow, those recommendations always bite, but…a fellow ultrarunner, a fellow foodie and as I followed the link to your other work, a talented writer. Twitter finally got it right! You write about interests that we share in a way that I keep trying to. Keep up the good work, good luck in your running goals and if you ever get up to some of our runs up here, I am sure I’ll see you on the trails. You have to get up to Western States! I have paced the last couple of years and look to qualify with a 50 in the next few months, but whether it is spectating, pacing, volunteering or running, it is an amazing spectactle. Thanks for providing me with some good reading. You know with all the running you do, it’s about time you made it pay off. Make this your paid job and start getting some more sponsorship’s! Do I hear Coffee Bean calling? !